The Lancaster Products KT Pneumatic Transporter is a low-priced, unique, semi-dense phase pneumatic material transporter. The Lancaster Products KT Pneumatic Transporter is perfect for moving material from a staging area inside or outside your plant (a bag breaker hopper, bulk bag unloader, loaded hopper or a storage silo) to an internal day bin near your processing area. 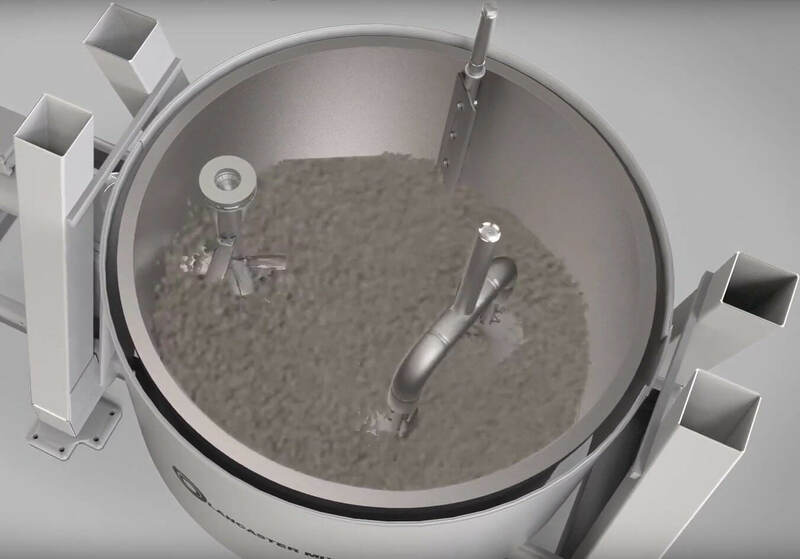 The KT Pneumatic Transporter is great for difficult access places, such as removing excess material from press pits and is also efficient in recycling material captured in baghouses. The small unit has only one moving part, uses relatively little compressed plant air, has a simple control, uses standard 2-inch pipe and is capable of moving up to three tons of material per hour. The operation of the Lancaster Products KT Transporter is extremely efficient. 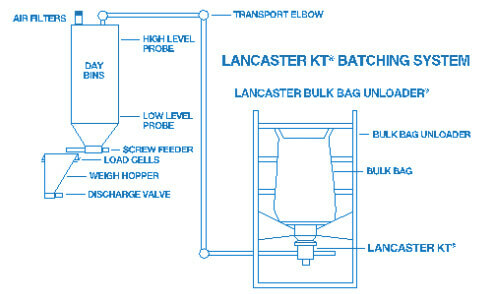 The Lancaster Products KT Transporter is positioned under the bag breaking station, bulk bag, silo, etc. The KT Transporter fills with material, then a short blast of air (less than one second) is piped into the KT. The heart of the Lancaster KT Transporter is its only moving part – the machine-tapered plunger. This plunger normally rests on top of a small pipe. The pipe and the plunger are located within a larger diameter steel cylinder. During operation, the plunger cycles upward when air is introduced, contacting a rubber seal. When air stops, the plunger falls to its rest position and the cylinder fills with material. This raises the cone inside the KT Transporter, sealing the filling opening. Excess air forces a “plug” of material out of the KT Transporter into the delivery pipe. The air stops and the cone drops. Material again fills the KT ready for the next “puff” and another plug of material is forced down the pipe. These plugs of material continue to travel through the small diameter pipe – all at relatively low velocities and fluidization. When material gets to an elbow, it partially fills the elbow until it exits the other opening. The material essentially forms its own elbow, thus reducing wear of the existing elbows.